Palace Bakers & Sweets is a bakery and sweet shop in Soan Garden Islamabad. 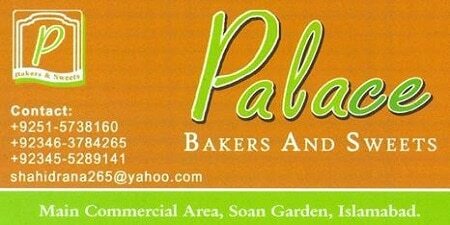 Palace Bakers & Sweets is located in Soan Garden, Islamabad. It is a bakery and sweet shop in Soan Garden Islamabad.